I am fundraising to provide basic education to construction workers children In Bangalore. Every support counts! SADRAG is an organization that was conceived in 2004, by a group of professionalsworking for child rights & protection, women empowerment &community development through action research, advocacy,program implementation & monitoring.Apart from running 7 full-fledged projects, SADRAG runs an activeAction Research arm, which conducts research with the intentionof using it in projects for women and children in communities. WHAT IS THE AIM OF THE ORGANIZATION? 48% of women in India aged 20-24 were married or are in union before aged 18 years, and almost 1 in 5 were married before age 15 years. 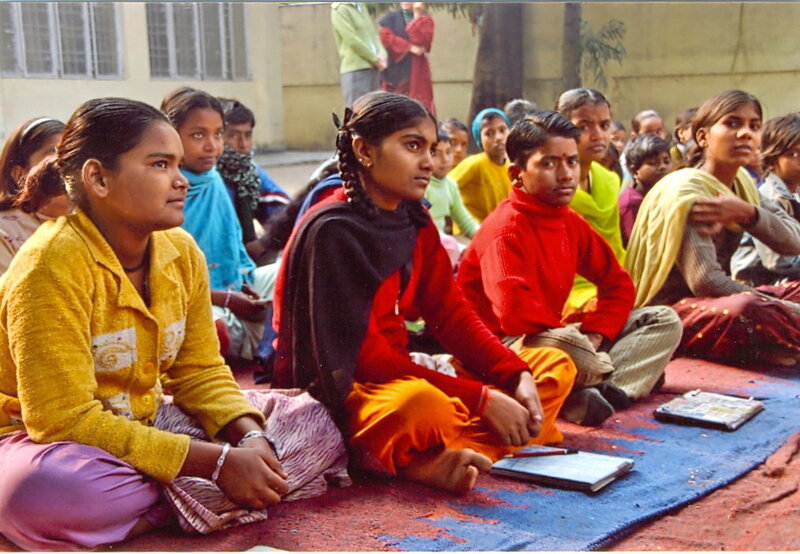 17 million children in India work, often undercoercion. Our mission is to provide such children and women with basic education,health and skill development needs. Today, SADRAG provides women and children with the skills thatguarantee employment, role models they can relate to andexposure that helps them become functional, self-reliant membersof society. ANY PROJECT OF SADRAG FOR WHICH I CAN HELP? Yes, we are running a school education enrichment programme operating in Veeranpalya Nagwara area in Bangalore city since July 2012. The main aim of the programme has been to facilitate school retention among the children who are not able to cope with their school studies. These children belong to the migrant families who migrated from the interior areas of Gulbarga and Andhra Pradesh in search of livelihood and are now working at the construction sites near Nagwara area. The children live with their families in make shift dwellings situated close to the construction sites. Through the support of a neighbourhood government school, the children are enrolled in the formal school system. However, the children face difficulty due to the medium of teaching in Kannada, the local language. They were also found lagging much behind the other children who were comfortable in the local environment of the school. This issue requires immediate attention to ensure that children continue their studies. We need your support to help us continue this program with your one small contribution. The children are really smart and are motivated to learn - our program is to provide them with a holistic education and your one small contribution can help us continue this program. We also have started with after school Coaching classes for a group of around 25 children started with an encouraging response from the children and their parents. Everyday, these children assemble at a particular place in the community and a teacher would not only help them with school subjects but would also involve them in personality development exercises. The children play, study and enjoy a nutritive snack with others. IF I AM IN BANGALORE CAN I VISIT THE CENTER? WHO SHOULD I GET IN TOUCH WITH? Yes, absolutely. You can write to k_kher@yahoo.co.in for more informationa and we would love to meet you in one of our centers in Bangalore.